The 2nd "European Conference on the Future Internet – ECFI” Munich took place at the research centre of the Technical University Munich in Garching. The event was the grand opening of the Future Internet accelerator projects. 16 accelerator projects from different business areas will provide through open calls 80 million Euro funding for small and medium-sized enterprises who take the challenge to build innovative applications on the basis of FIWARE Future Internet technologies and bring their business into the market. Different workshops and panel discussion informed the participants about the open calls, the funding beneficiaries and the progress of phase two of the FI-PPP programme! The FINESCE project, as part of the organizing team, was present with a booth and a session on Future Internet technologies in the energy and cleantech industry sector. The session was led by the FINESCE project coordinator Fiona Williams and focused on business development with the help from FIWARE infrastructure and accelerator programmes. The session gave insights into funding opportunities within the FIWARE accelerator programme. Representatives of the accelerator projects INCENSe, Speed UP! Europe and CEED Tech also took part in these session and offered funding and support for developing new ideas, applications and business models. 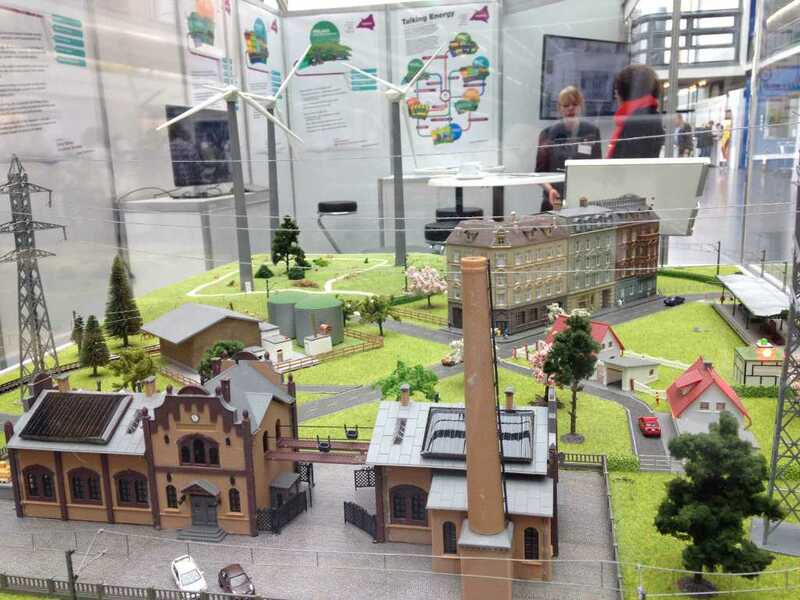 The FINESCE booth gave insights into the latest results of implementing FIWARE technologies in the energy sector. Presentations about the smart energy control app of the smart buildings in Hyllie/Malmo and Horsens, the real-time monitoring app of the smart factory in Aachen, a control and monitoring app for virtual power plants and an augmented reality app gave insights into the progress of the different FINESCE trial sites. Additionally, an augmented reality app gave an introduction into the FINESCE project in a playful manner. The grand opening of the Future Internet accelerator projects by Ilkka Lakaniemi (Aalto University), Prof. Dr. Wolfgang A. Herrmann (President of Technical University Munich), Mario Campolargo (Director of the Net Futures Department, European Commission); Ramon Suarez (This is for us! ), and Stefano de Panfilis (Engineering S.p.a) was also the start of the whole conference. The FIWARE projects of the 2nd phase of the FI-PPP programme presented live demos and show cases with implemented FIWARE technology and discussed about future opportunities within their sectors. More than 400 participants got access to trends, technologies and innovations for the smart use of tomorrow‘s Internet different areas, like health, smart cities, multimedia, smart manufacturing, smart agrifood, smart energy, creative industries, social interaction, food chain logistics, media content and learning and training. At the conference, different parallel panel discussion informed about the use cases and progress of FIWARE technology and their continuation by the accelerator projects. Furthermore, information was given about the opportunities for SME’s and start-ups dealing with FIWARE technology. For start-ups and SMEs, there was the possibility to pitch their ideas and business models regarding Future Internet and FIWARE technology at different stages and in different formats around the conference centre and within the workshops and panels. At the SME Training Day, an overview of the FIWARE, FI-Lab and FI-Ops features and services was given to available to SMEs, web entrepreneurs and Future Internet accelerator projects. The social event at the world famous Hofbraeuhaus offered an insight into Bavarian lifestyle and was used by the participants to enhance their network and work on further business ideas. This event was also the stage for the award winning ceremony for the business case pitches and for the awarded solutions from the Campus Party event one week before. The Techno Brunch at BMW World was the highlight of the second conference day. The moderator Sarah Cruddas (BBC and Sky News) discussed with Peter Fatelnig (European Commission), Sajiad Khan (BMW), Caroline Norbury (Creative England), Claudia Baumgartner (VMZ Berlin) and Renzo Cicilloni (FIAT), about how the Future Internet will revolutionise the manufacturing sector and particularly the automotive industry. Feel free to share videos and photos via Social Media and other channels.